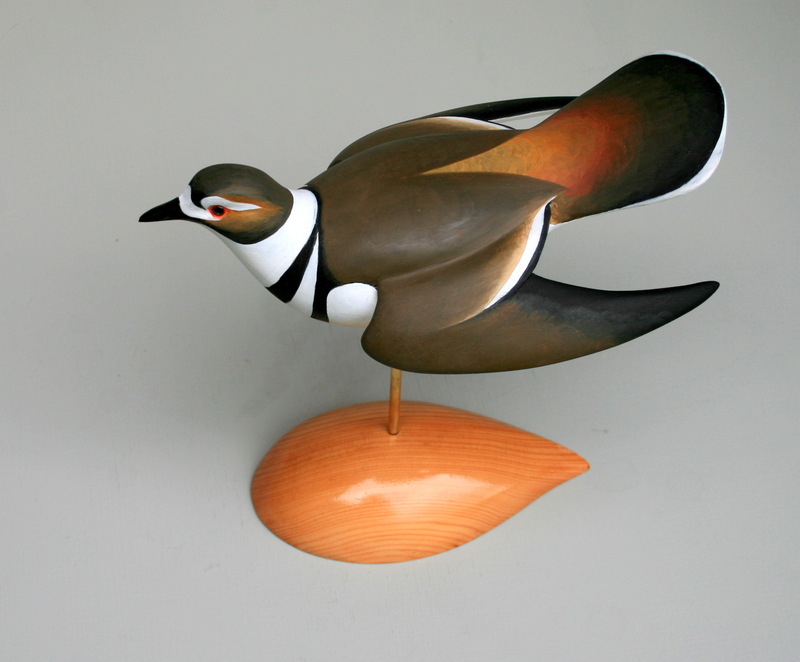 The noisy Killdeer is one of the species I rely on to tell me spring is just about here. And if its call alone is not enough to get you to notice, it will probably catch your eye with its flashy antics. 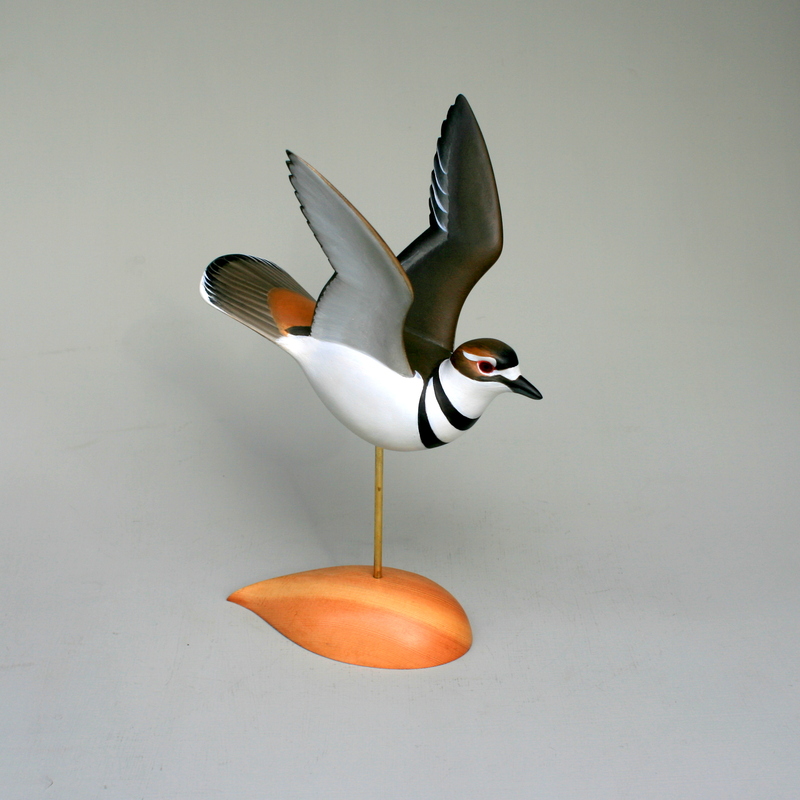 The Killdeer is famed for its “broken wing display” – a fake behavior that very effectively draws your attention away from a nest or young. It always seems to be flying too close, spreading or raising its wings, scampering along a patch of bare ground. I tried to capture a bit of this “reckless” behavior in this carving – within the limits of the grain of the White Pine. 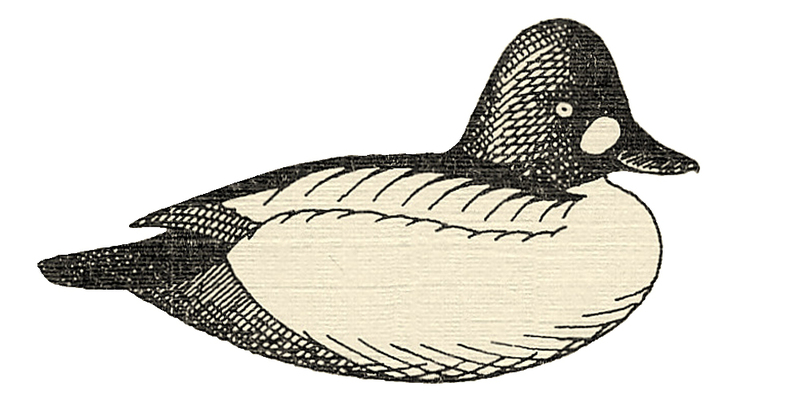 It is carved from a single piece and so I could not turn or arch its head anymore than I have – I try always to keep the structural integrity of any carving and did not want to involve any sure-to-break cross grain. The brass post is close enough in hue to its real legs and the free-form, oiled base reflects, I hope, the barren grounds over which they run. Here is another I completed in 2013. And here is yet another – from 2014. 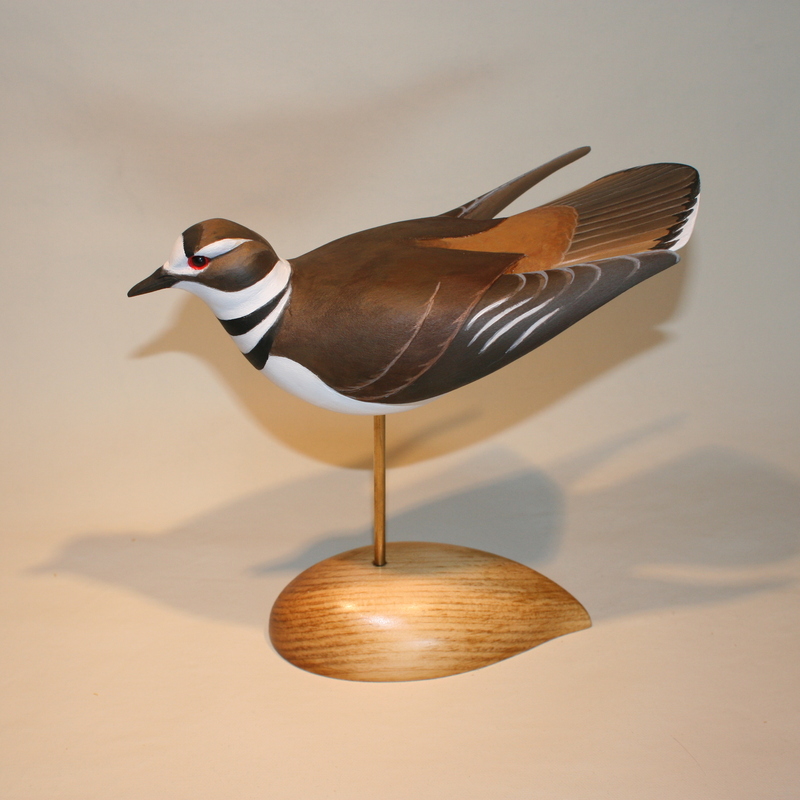 As with the 2013 bird above, I have carved the wings separately and mortised them into the body. This Killdeer, though, is arching her back and dragging her wings in its attempt to lure the predator away – and, I hope, to draw the viewer in.